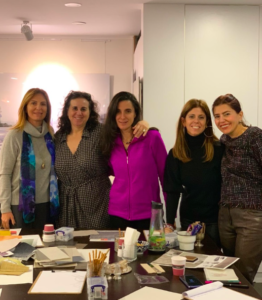 Last year I decided to start organising workshops to share my experience and passion in interior design with similar minded people and arranged one in Istanbul on December 18, 2018. 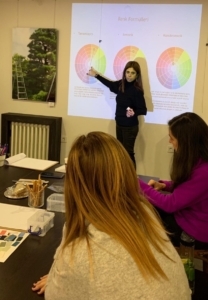 The workshop covered the latest interior design trends and their reflections in our daily lives, tips and tricks on how to choose colour schemes and play with their tones in surfaces, layering textures. 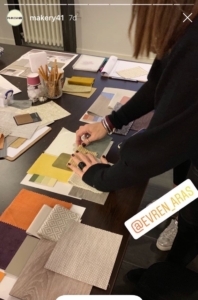 During the interactive session, participants were asked to create their own boards by selecting from the wide choice of colour swatches, samples of fabrics & wallpapers and accents. We all had fun, got inspired with trends and created lovely boards to inject more colour into our lives and homes. I’m looking forward to find the time to continue these workshops in Istanbul and London. If you’d like to suggest a specific subject for the upcoming workshops, please email me at evren@arasdesign.co.uk.